Will This Be The Most Uninteresting Election Ever? Just a week or so after this election was called do I detect a very large lack of any serious interest from our media. After the excitement of the last 12 months following on from Boy Dave's surprising victory last time of asking, every time a glance at any output, it comes across as tired and bored. So if the overexcited normal reaction of the punditry has gone missing, should we ask why? One factor I suggest, if not the main issue for the malaise, must be Jezza. Is it such a dreadful time for the leftard, champagne coteries of the metropolitan hypocritical set that was socialism and the "pretend" Labour Party, hijacked by that weir Bliar bloke, so awful as to leave their media pals bereft of hope? Marr today was positively docile and easily slapped down by Saint Theresa. One cannot but admire her handling of the media and possibly the treacherous sieve that is the Whitehall Mafioso. Now seemingly less able to leak once underhand Machiavellian drops of timely placed undermining drips of information. If I'm correct these charades and sidelining tactics may prove the most interesting of a dull, quiet campaign, ending, hopefully, with a wipe out of the socialist cancer so long a blight on lives of aspirational bent. Among the losers the gross edifice that is the Fourth Reich EUSSR. Certainly this bunch of dictators led by Merkel look ever more desperate and I've no doubt as wrong footed as many over the calling of this election. The statements from the other parties that it is just putting the Conservative Party first is a hoot. As if they, in an unlikely similar position of strength but a small leftover majority from a lucky at the time, from Cameron, would not have done the same. A 20+ opinion poll lead and Brexit to sort out, why wouldn't anyone do as she is doing? As for the idea from some has been quarters is doesn't reinforce her hand with the fools in Brussels, get real! One final observation is the same old, same old media obsession with opinion polls. Now so way out in every way as to be even more of a joke than before. How these cretins can expect a 23 point lead to collapse overnight by 10 points is pathetic. Either the original lead was fabricated or that huge drop. You can't have both scenarios credible. So, without wishing ones life away, I'll not have the same passion of yesteryear and immerse myself in 24/7 political avidness, hitherto embraced. Rather I shall seek to find light relief and comic incidents to while away these coming weeks. 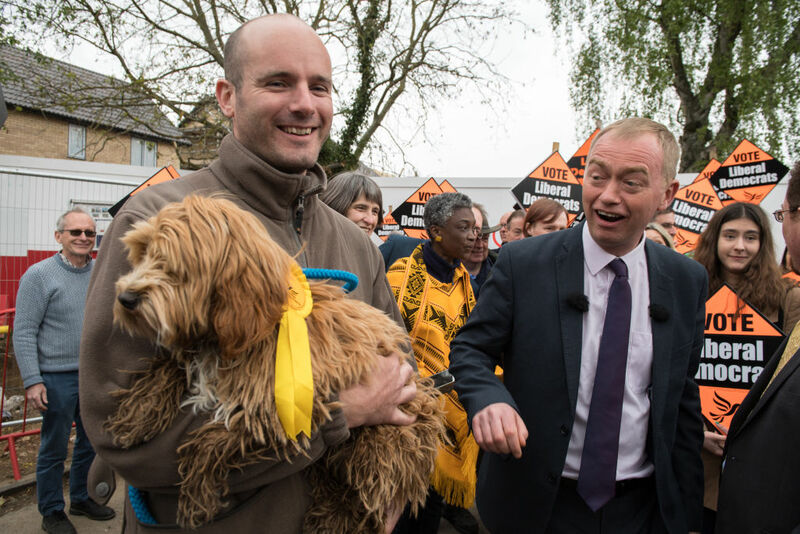 I suspect Tin Tin Farron to provide much. Alongside Buffoon Boris. As for post the likely Tory victory, I'll relish the next post election Cabinet. One less likely to tolerate Boris or Hammond. As for comic relief, is it true Boris's sister has fallen for Tin Tin Farron? Now that's funny if not a little ridiculous! Enjoy May Day but don't bother with the red flag. Rachel turns her back on Tin Tin! We're sick to death of them all, that's one reason. Another reason is that none of us are sure any more which is the least worst option. Remainer May has proved she's just as untruthful as any over the we're not having an election then suddenly we are, i don't think they realise how profound that betrayal of her word has been, if she can't be trusted on this what can she be trusted with, Brexit?, a few months ago she was remainer now we're supposed to give her mandate?, to do what exactly? Labour still the party that was once supportive of the Britsh working class, Lucifer Blair and his regime put paid to that for ever, i had great hopes for Corbyn but he too proved unprincipled over his personal(apparently)opposition to the EU, ye in the last election and during referendum is party supported remain. Neither the cons or labour deserve to lead this country. The libs i wouldn't consign to history yet, they might yet hlod the balance of power which would be a handy thing for May, for she could do a Cameron and blame them for welching on real Brexit and turning it into an EEA agreement leaving our borders still open to all. Where do our fishermen fit into any of the plans of the three, are the fisherman the elephant in the room? are they like some ditched spouse when a better/richer offer comes along, supposed to vanish without a trace (unless handy for a Thames protest), who is the fishermans champion here, who is going to get our waters back? UKIP, toothless and rudderless now Farage has gone, eviscerated by several trojan horses namely Carswell and associates. BNP, a patriotic party with its own faults becoming too popular so had to go, was that part of UKIPs remit. What of Farage now, did May call this election because Banks/Farage were possibly going to start another party so May brought forward the election before the probable coming treachery over Brexit would be obvious to even the most mainstream media brainwashed public? What's Lucifer Blair up to, who stands to gain by whatever treachery he can summon in this current fiasco. Nope, this election has only questions for me, there are no clear answers in the mud, more than ever i wouldn't trust the participants further than i could throw them. I've pretty well decided who to vote for, if the BNP are going to pee £500 up the wall i'll vote for them , once again, if they are not on the slip then not even sure i can be bothered to spoil my ballot by stating 'non of the crooks above'. 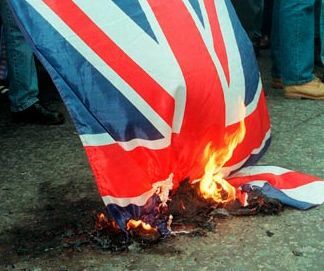 This is a non election, the truth will out over the coming 5 years, May will probably get in, whether the British people will get a leader or another traitor is another question altogether. Forgot to sign that post, sorry.